As an artist engaged in an associative process in close relation with my studies at the University of Corsica, I am doubly interested to participate in this next workshop at the Cittadellart. On this occasion I will have the opportunity, on the one hand to take cognizance of this place and the dynamics that crosses it, on the other hand to familiarize myself with this particular theme: “Socially and community engaged art” with meeting its animators and participants. My thesis topic articulates theory and practice, it deals with art in the landscape envisaged as a practice of social space in Corsica. This art that situates the object in the space of the common opens a field of actions that highlights situations that question the uses of space and, correlatively, the creativity of people to that of their environment. As for the landscape become a subject of study and the source of multiple writings at the same time it is destroyed on a large scale throughout the world, the art which poses the question of the public in the sense of DEWEY questions the political dimension as the conditions of a truly democratic art policy. Exploring this problematic and weaving a link with the Cittadellarte enlarge my research in meeting people who are deeply involved in similar subjects, would be a great opportunity for me, particularly through its mediated trend. The objective of this module is to explore what is social and community engaged art and who is doing it. During this module, participants will explore various projects and artists to gain insight into what determines a social and community engaged art and what distinguishes it from everyday social and community engaged work. Embodied in all social and community engaged work is a desire to affect some practical outcome. Within all art there is a desire of some symbolic or poetic meaning. This module will draw upon the experience and sensibilities of the mentor, guest, and participants to identify the most interesting social engaged work and critique it based on its practical and symbolic/ poetic impact. Our objective will be to explore a framework of critique of social and community engaged art. Because there is such similarity between social and community engaged art and social and community engaged work, we will explore the following questions: Who has authority to determine when social and community engaged work is art or not? What does it mean for a social and community engaged work to be called art? What is the political significance of social and community engaged art? Much of the discourse of this module will be based on readings and films of work that takes place around the world, but a big part will be based in research of the surrounding communities of Biella. Each day will have field explorations in search of valuable and meaningful social and community engaged work in Biella. TOPICS/TAGS: Desire, socially engaged art, social practice, mediation, social sculpture, community art, creative placemaking, public art, civic engagement, urban development, participatory art. 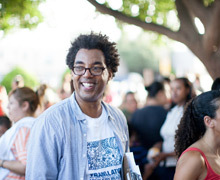 Rick Lowe is a Houston-based artist. His work has appeared in: Documenta 14, Athens/ Kassel; the Venice Architecture Biennale; Contemporary Arts Museum, Houston; Museum of Contemporary Arts, Los Angeles; Neuberger Museum, Purchase, New York; Phoenix Art Museum; Kwangju Biennale, Kwangju, Korea, and the Kumamoto State Museum, Kumamoto, Japan. He is best known for his “Project Row Houses” community-based art project that he started in Houston in 1993. Further community projects include the “Watts House Project” in Los Angeles, the “Borough Project” in Charleston, SC (with Suzanne Lacy and Mary Jane Jacobs), and the “Anyang Public Art Program 2010” in Anyang, Korea. Among Rick’s honors are the “Rudy Bruner Awards in Urban Excellence”, the “AIA Keystone Award”, the “Heinz Award in the Arts and Humanities”, the “Skowhegan Governor’s Award”, the “Skandalaris Award for Art/Architecture”, and the U.S. Artists Booth Fellowship. He has served as a Loeb Fellow at Harvard University, a Mel King Fellow at MIT, an Auburn University Breedan Scholar, and a Stanford University Haas Center Distinguished Visitor. President Barack Obama appointed Rick to the National Council on the Arts in 2013; in 2014 he was named a MacArthur Fellow. Elpida Rikou (Athens, 1963) has studied sociology, social psychology, anthropology and visual arts in Athens and Paris. She teaches Anthropology of Art at the Athens School of Fine Arts since 2007. 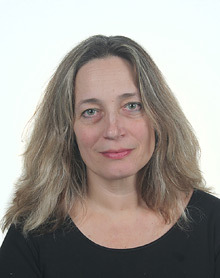 She is the editor of “Anthropology and Contemporary Art” (Alexandria, 2013), and the co-editor of “Fonés” (a collection of works on human voice, nissos, 2016). She has published articles in scientific periodicals, edited collections, art catalogues and newspapers and coordinated several art projects with an interdisciplinary character (i.e. TWIXTlab, Value/4th Athens Biennale, Learning from documenta, etc.) in which she also participates as an anthropologist and a visual artist. arterra is a non-profit-making association governed by the 1901 law.